Professional Helical Pier Installers In Tennessee and Kentucky! At Frontier Basement Systems, we're proud of our permanent, warrantied solutions for foundation settlement of all types. Our team of professional contractors has repaired settling foundations throughout Tennessee and Kentucky, and we're ready to help you. 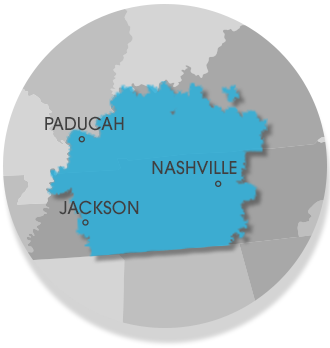 We're proud to serve Nashville, Clarksville, Jackson, Philpot, Bowling Green, Owensboro, Murfreesboro, Utica, Marion, Fayetteville, Paducah, Mcminnville, Leitchfield, Franklin, Shelbyville, Antioch, Hartford, and all surrounding areas.